Militaries evolve constantly, even if some would argue that they don’t change rapidly enough to reflect the times. Most of the time, that manifests itself in tiny changes that accumulate over time. Sometimes it’s something much larger, like finally fleeing the ACU-style camouflage for something much, much better. 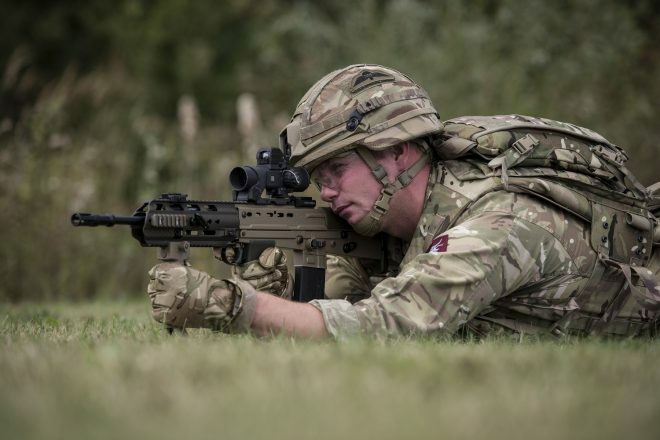 One of the United Kingdom’s newest developments might not be as massive as a new tank model, but it’s big enough news for folks under combat arms, and what’s more — it’s highly visible. The entire British infantry’s “weapons fleet,” as the British Army’s Soldier magazine termed it, is going to be going Flat Dark Earth — one of the better-known Cerakote colors and likely one some of you have at your hip or in your safe right now! I won’t lie — it’s one of my personal favorites, and I’m extremely excited. What we’re seeing, essentially, is the hope to realize a military philosophy as conveniently as possible. 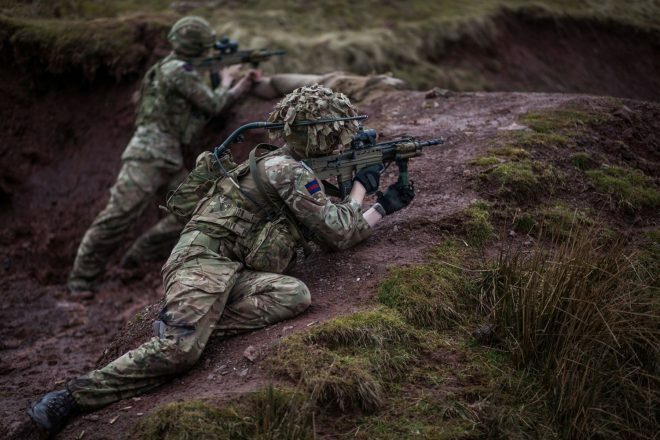 It seems as though the United Kingdom has a belief that it’s important to see to it small arms are brought to match the environment, just like a uniform ought to. That’s both a good a idea and a big ol’ pain, re-working or re-issuing firearms as troops are rotated to different locations. The desire for a workaround is absolutely justifiable. Here, we can see a colorization that will match its environment in nearly all environments, which is one of the reasons FDE is so gosh-darn popular. It’s a legitimate concern. I don’t think I have ever heard an American veteran complain about the color of their firearm, but I can certainly concede that I haven’t spoken to every veteran that’s ever served and this could well be a problem that I haven’t yet stumbled across. The British are looking to act on this soon, lending more credence to the theory that to them, this is real important stuff. “They will be painted this year but the size of the fleet is so vast users will see a mix of black and brown weapons for a number of years to come,” Anthistle noted. What do you think? Is this something that the British are just smarter about than we are? Please share this on Facebook and Twitter, tag a friend or three, and let us know!